I can't wait for the anime! I thought it would be released on November?? Well...Where is it? If ever the anime comes out this year, would usui in the manga be the same in the anime?? (physical features) Wait...What about his voice?! What would it sound like? Can't wait! Please if you have drawings of kaichou wa maid-sama post it here. Thank you! Marry Christmas! They should organize their time. Merry Christmas! ~0Range-1SL0ve~ wrote: I can't wait for the anime! I thought it would be released on November?? Well...Where is it? If ever the anime comes out this year, would usui in the manga be the same in the anime?? (physical features) Wait...What about his voice?! What would it sound like? Can't wait! Please if you have drawings of kaichou wa maid-sama post it here. Thank you! Marry Christmas! Well have you red the latest chapter now? I think I saw the anime Version of Those two.... and... well just see it yourself! That means, the author is improving . Arrgh!!! USUI!! What happened to you!! This time i like the manga more! Tsk!Tsk! ~0Range-1SL0ve~ wrote: Arrgh!!! USUI!! What happened to you!! This time i like the manga more! Tsk!Tsk! He looks ugly in the Teaser >_> becuz he is looking down with his, bangs covering his eyes! so yeah i still want the MANGA VERSION! oh wait have you read chp 44.? 0.0 KWMS is going YURI?! oh my gosh that Maria-sensei! ix3TotallyKei wrote: oh wait have you read chp 44.? 0.0 KWMS is going YURI?! oh my gosh that Maria-sensei! ehh.. do think maria-sensei is lying? lol... that's kinda weird! my gosh.! 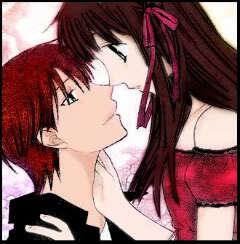 ix3TotallyKei wrote: ehh.. do think maria-sensei is lying? lol... that's kinda weird! my gosh. !